Joe D’Agnese and Denise Kiernan have written a book that I would have written if I had the time or talent. 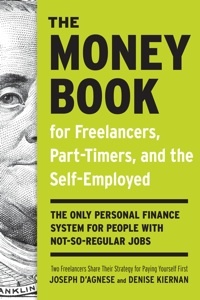 The Money Book for Freelancers, Part-Timers, and the Self-Employed is a comprehensive for anyone who gets 1099s instead of W2s. At BlogHer Business, I finally met Pamela Skillings who is a fellow blogger and member of Ladies Who Launch. She has blogging and consulting about how people can leave their jobs and become entrepreneurs. Las night I attended the book party at the Soho House for her book, Escape From Corporate America. It was fun! Pamela wrote a great piece last Sunday in the New York Times which tell her experience about her decision to leave corporate america. Below is a clip. Once I did the math and saw my finances in black and white, however, I realized that the budget cuts wouldn’t be nearly as painful as I’d feared. I was more than willing to cut back on indulgences like foamy lattes, shiny highlights and overpriced designer handbags for a while if it meant that I could escape from corporate America and strike out on my own. Suddenly, my impossible dream seemed within reach. 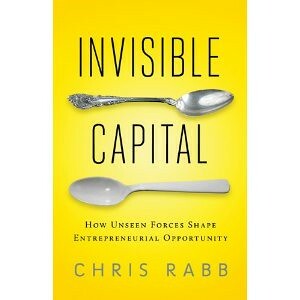 Here’s a list of business and career books and small business tools that help you prosper including new book, The Boss of You by Lauren Bacon and Emira Mears.